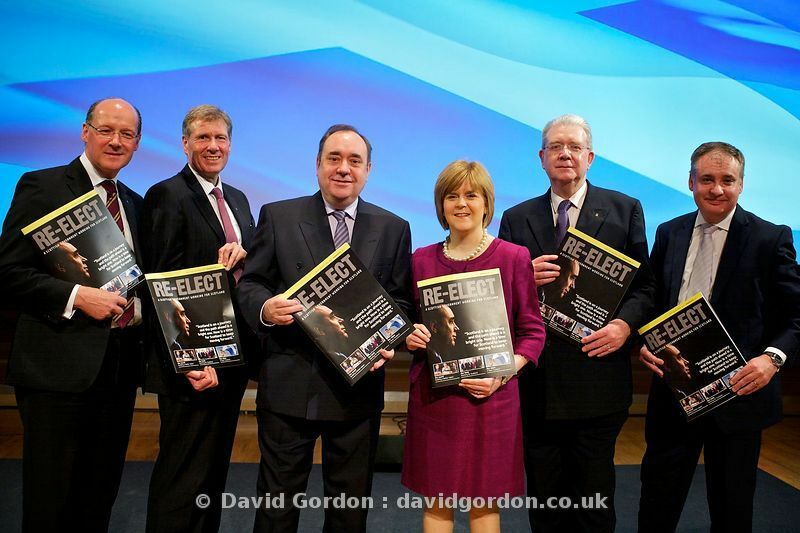 GLASGOW, UNITED KINGDOM, April 14: Leading members of the Scottish National Party (SNP) pose with copies of the just-launched manifesto in Glasgow on Thursday, April 14, 2011. 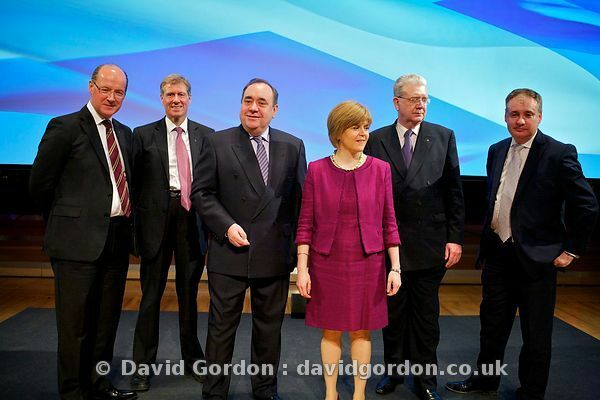 From the left, John Swinney, Kenny MacAskill, party leader Alex Salmond, deputy leader Nicola Sturgeon, Micheal Russell and Richard Lockhead. The SNP are fighting to retain their position as the governing party in the Scottish Parliament at elections taking place on May 5 2011.